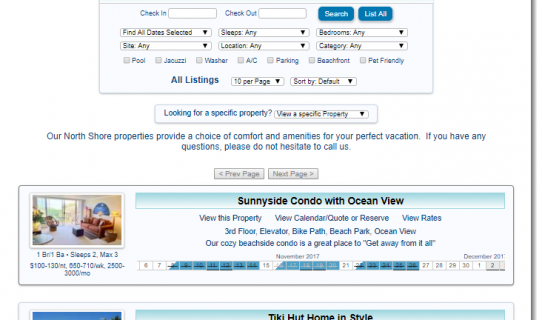 We build websites that integrate with Vacation RentPro. Choose from multiple formats and colors. 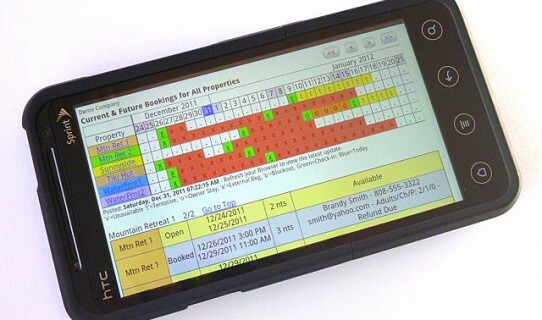 Guests can Search by Dates, Bedrooms, Location, Category, Site/Resort and Amenities. (Note: Requires VRP license with Searchable Group Web Page feature). All the media types to show off your properties. 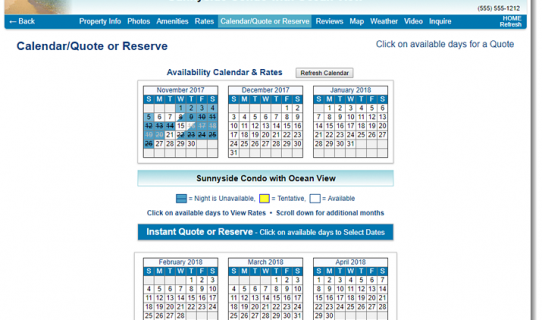 Smart calendars with Embedded Rates and detailed Instant Quotes with options to Book Online. 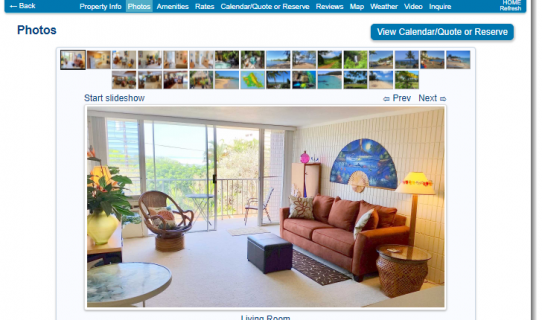 View Bookings, Check Availability, and Contact Guests from your phone. 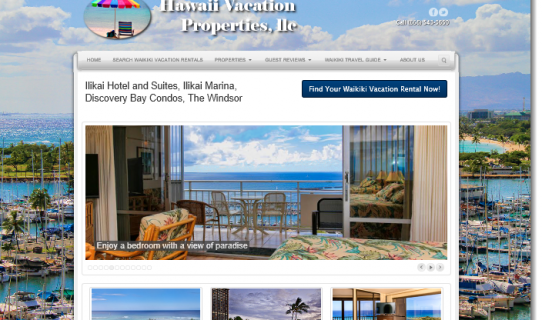 Let us create your new website, integrated with Vacation RentPro! 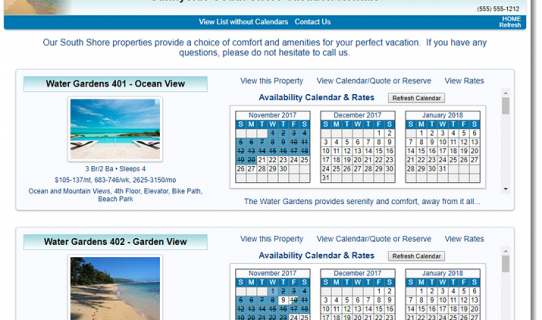 This is our “sister” site for Vacation RentPro, for providing website development services for our customers who wish to create great looking websites integrated with Vacation RentPro. A state of the art CMS website (Content Management System). Social links and integration with Facebook, Twitter, Google+, etc. SEO optimization for search engines. Training on how to update and manage your website, including menus, photos, company info, etc. 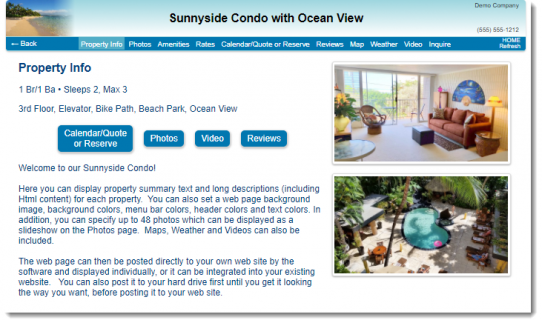 Training on updating and maintaining property listings on your website from the Vacation RentPro software. Click Here to view examples of websites we have created. Please feel free to Contact us or call (808) 782-5054 for more info. We can help you. 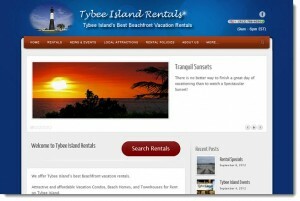 We know the vacation rental business, and the technology to build professional looking websites. Your website will be showcasing your properties in no time. And you will not be tied to a monthly contract. Sit back and relax while we do the work for you. We get your website ready fast, with the tools for you to maintain it.